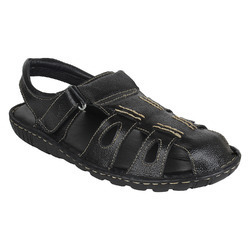 • Round toed, Black sandals with Velcro closure for adjustable and comfortable fit. • Breathable, flexible and supple leather upper with stitched detail, . • Leather cushioned insole for enhanced comfort. 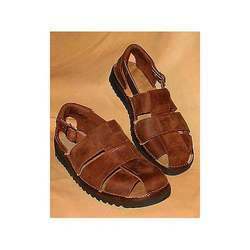 Pull-up leather slippers are one of our premium products, which are available in varied designs, styles and textures for men of all age groups. Further, our leather shoes are available in soft and smooth finishing.